Industrial operations are critical to Metro Vancouver’s economic prosperity. They play an indispensable role in the supply chain of nearly every economic sector, create a diversity of well-paying employment opportunities, and provide many of the products and services needed to support a growing population, from building materials to waste management services. Despite the essential role industrial operators play in the region, mounting pressures are threatening the viability of industrial operations in urban area: high costs of doing business; a lack of available and affordable operating space; and difficulty finding and retaining qualified employees. 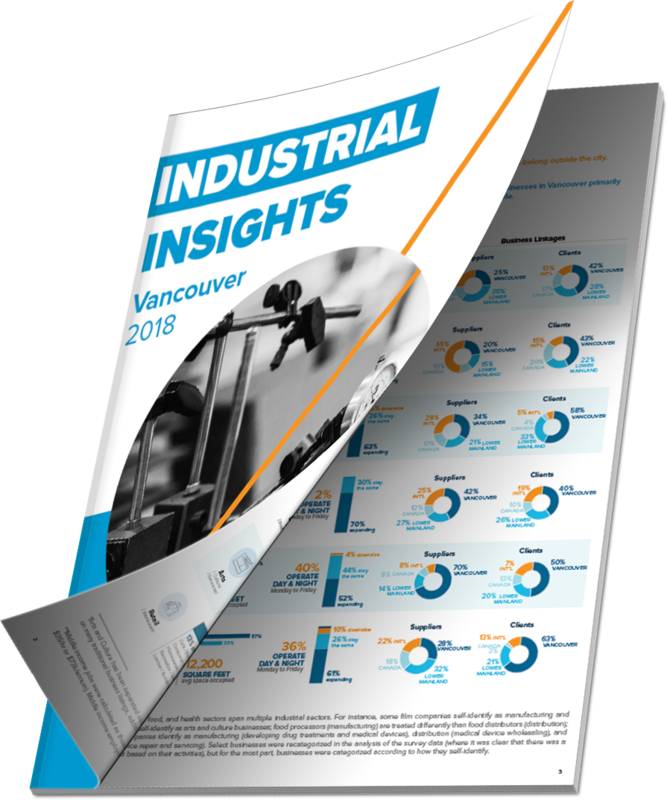 A recent survey by the Vancouver Economic Commission revealed that half of the City of Vancouver’s industrial businesses are considering relocating in the next two years, with some considering locations outside the region altogether. Over the past several years, headlines in B.C. have consistently featured stories about a lack of available and affordable housing in the Lower Mainland while industrial vacancy rates quietly diminished and industrial land values climbed. According to CBRE, Metro Vancouver now has the second-lowest industrial vacancy rate in North America and has seen the world’s biggest jumps in industrial land values over the last two years. While some are happy to relocate for more affordable and suitable space, many see the prospect as potentially devastating for their business. For most businesses in Vancouver, more than 50 percent of their clients and 30 percent of their suppliers are located within the city limits. In addition, proximity to their urban employment base is critical for retaining qualified staff. The relocation of industrial operations to further into the valley will also have a significant effect on land and transportation across the region. Not only is industrial land of all types already scarce in Metro Vancouver, but moving industrial operators further from their clients, suppliers, and employees will have enormous impacts on transportation costs, traffic, and congestion. The pressures facing industrial businesses — and manufacturers in particular — are widespread and have the potential to be incredibly damaging to the regional economy, so why aren’t we doing more to combat them? I frequently hear three myths about manufacturing that prevent us from from addressing these issues and creating a more supportive environment for manufacturers in Metro Vancouver. Manufacturing is on the decline. Nothing gets made here anymore. This myth is driven by a narrative that B.C.’s “new” economy is a knowledge-based or tech economy. The implied assumption is that a knowledge-based economy is driven by tech developed in office settings. Images of hoodie-wearing software developers come to mind, but B.C.’s technology sector also includes a strong presence of cleantech, biotech, agritech, and interactive technology companies — businesses making physical products and services that are developed and manufactured in urban industrial districts. In addition to manufacturing physical technologies, B.C. boasts strengths in food processing, wood products manufacturing, apparel and textiles, and construction and building products. While it’s true that there are fewer sprawling factories in our urban industrial areas, there is a renaissance of urban manufacturing underway. It is driven by a growing global demand for tradable goods, such as high-performance apparel, clean technologies, and processed food products, and a growing local demand for locally made artisanal products, such as furniture, craft beer and wine, and custom building products. 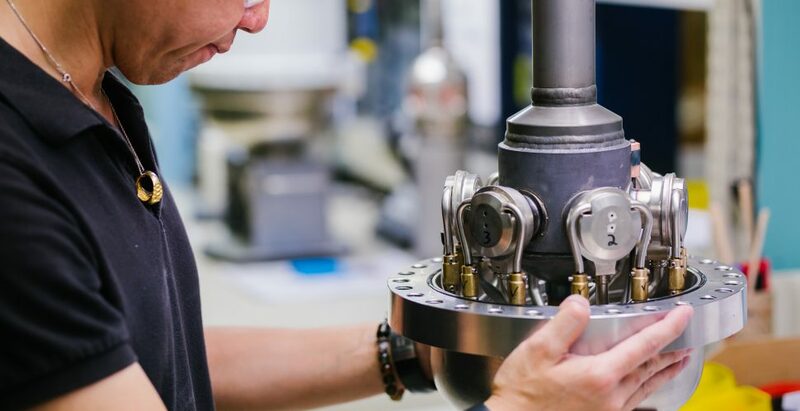 In the City of Vancouver, more than 70 percent of manufacturers are less than 20 years old and are actively expanding their operations. The misconception that manufacturing is a declining industry sector in Metro Vancouver means local and regional governments are deprioritizing manufacturing as a land use, funneling the bulk of government funding and support behind other sectors, and are not actively pursuing modern, supportive policies for governing manufacturing businesses. Industrial activities belong on the outskirts of the city. They are loud, polluting, and incompatible with dense urban living. The myth that industrial activities belong on the outskirts of cities is often followed by “all big cities do this.” While it is true that cities for decades have allowed industrial activities to be pushed farther and farther from their cores, many cities are now looking for ways to protect, support, and enable industrial activity close to their densest urban centres. A number of cities are developing Artisan Zoning to help small manufacturers gain access to production space while others are looking for ways to support the development of affordable industrial space through innovative land use policies and creatively adapting older industrial buildings for modern manufacturers. The notion that manufacturing is incompatible with other residential or commercial activities is an outdated one. Many of the manufacturers operating in Vancouver run small-scale, clean operations that actively contribute to the social, environmental, and economic goals of the city. On average, the urban manufacturer occupies less than 9000 square feet and employs less than 50 people. Their activities include significant research and design work in addition to production, packaging, and distribution. Many are running training programs for individuals that have been struggling to enter the workforce and others are directly contributing to environmental goals by developing products that are healthier or more sustainable than those currently dominating the market. The myth that manufacturing belongs on the outskirts ignores the importance of small and mid-size manufacturers that rely on clustering near to suppliers, competitors, and clients in order to maintain business relationships, stay connected to others in their industry and even share resources such as space, equipment, and vehicles. When industrial activities are seen as activities that can be relegated to areas further from the city centre, industrial land is treated as a land bank to be siphoned off for other uses such as affordable housing and social services. Traditional policy and planning frameworks are still working for modern manufacturers. Despite the fact that manufacturers represent 42 percent of all private sector research and development in B.C., manufacturing is often viewed by urban planners and policy makers as a “traditional” industry sector — one that has seen little change in the last 50 years. This means that policy and planning frameworks that govern manufacturing in many cities have not been updated to reflect the needs of the modern manufacturer. In Vancouver, for instance, many manufacturers now require a different mix of spaces within their facilities, including more office, R&D, retail, lab and flex space, and less traditional warehousing space. In addition, manufacturers may experience higher needs for digital and energy infrastructure than their buildings and districts were initially designed to meet. This notion that manufacturing is somehow a static sector has also led many planners to believe that protecting industrial land is the solution for ensuring important urban industrial operations are able to continue to exist. While protection of industrial space is needed, this alone is not a sufficient strategy for ensuring industrial space for manufacturers is sufficiently accessible in cities. The implications of treating manufacturing as a static or traditional industry are many. For one, industrial areas are seen as low priority for infrastructure planning, including transportation, energy and digital infrastructure. Subsequently, zoning schedules in industrial districts are written for businesses of a different era, making them overly difficult to navigate for the modern manufacturer. And finally, manufacturers and other “traditional” industry groups are often left out of public engagement and public discourse on the economic future of the city. These three widespread assumptions have continuously undermined the efforts of even the most well-meaning and informed city planner. They have played a role in keeping the struggles of industrial businesses largely invisible despite the seriousness of both the challenges and the overall impact to the rest of the economy. By dispelling these misconceptions and drawing greater public attention to them, we can work to proactively plan, develop policy and programmatically support the urban manufacturers so vital to our city. In addition, a little public support goes a long way to generating awareness in local leaders and policy makers, especially if that support takes the form of constituents to their representatives in local, provincial and federal governments. Although the municipal elections in Metro Vancouver have now concluded, it is still an opportune time to write, email or call the mayor-elects and your local councillors to ensure that the regional dialogue on affordability has a place for industrial issues as well as housing. This article was first published in BC Alliance for Manufacturing’s quarterly newsletter publication. Read the original piece here and keep up with other trends in the BC manufacturing sector. Pietra leads the Vancouver Economic Commission’s industrial initiatives. She spearheaded the creation of the Flats Economic Development Strategy and has overseen the development of Vancouver’s first Industrial Concierge Service. Pietra’s research and policy work centres around addressing industrial land issues, enabling a more circular economy, and developing meaningful economic development metrics. She has designed, funded, and managed a number of programs and projects contributing to the development of Vancouver’s green economy, including the Flats Climate Action Program, Upcycle Vancouver, and Startup City Impact. 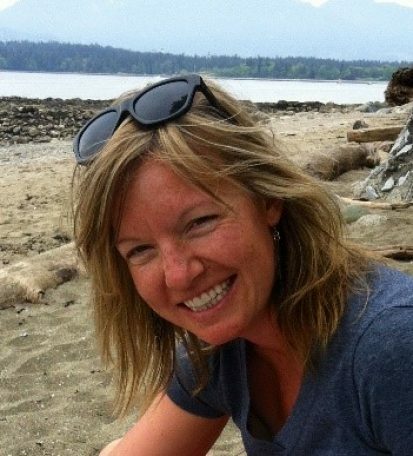 She has a Bachelor of Commerce from Queen’s University and a Master of Landscape Architecture from UBC.